On the book of orbs web app there's a new card alongside Gummy Yummy and Ethermage. 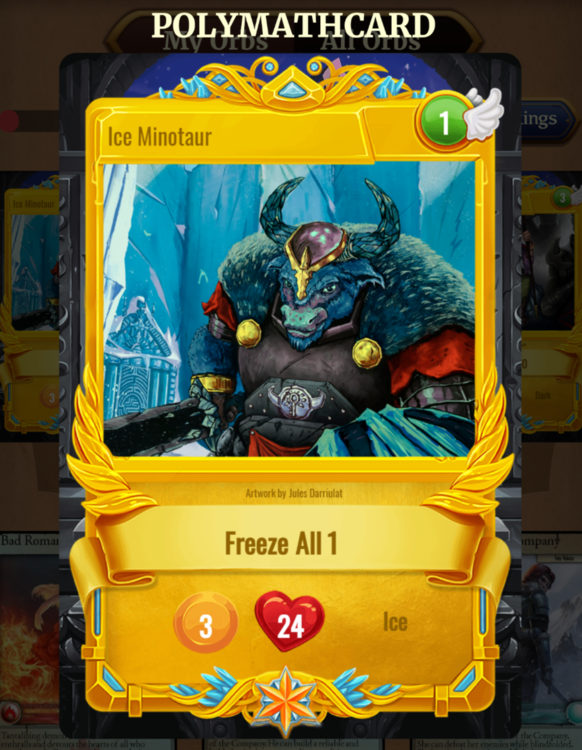 It's called Polymathcard and the name is Ice Minotaur. Have I missed any information as to how this card can be obtained or is that still forthcoming? I'd like to see Alrik and The Orc being addded to the book of orbs list as well as sogassets.com and xcp.cards having the new cards added.